With the rising popularity of online shopping, many businesses are looking for creative ways to get consumers back in their stores. Even for service-based businesses, like salons and spas, getting customers to participate in interactive brand experiences is becoming increasingly important for fostering brand loyalty and engagement. That’s why experiential, or event-based marketing, is on the rise. Thinking outside of the box to offer events that engage and delight customers can help businesses develop meaningful connections and have a powerful influence over consumers, getting them to buy, visit and share more often. Hosting events at your business may require a little extra time, money and effort up front, but the return on investment you will gain from engaging consumers will be worth it. Experiential marketing offers several benefits. When you host an event in your space with your products, you are providing a multi-sensory experience that will engage your customers and help them form emotional connections with your brand. For example, a spa may host an open house where shoppers can touch, smell and test products while getting valuable advice from sales staff. This gives consumers an opportunity to explore products in a way they can’t online – with all of their senses. Not only will this drive customers to the business, it allows a level of interactivity that will increase brand loyalty. Another benefit of event marketing is that it provides an avenue for your customers and staff to build meaningful connections. Employees in the spa and salon industry often have strong relationships with their customers, but interacting at a fun event can fortify this connection by making it feel less like a business relationship and more like a friendship. Your employees will be able to get to know your customers better and develop a stronger understanding of their wants and needs. Your consumers’ feel-good, personal connection with your brand will flourish. Additionally, when customers attend in-store events, they are more likely to spend more than they normally would. Giving customers a hands-on brand experience can have a big impact on your bottom line; research shows that when a shopper simply holds a product in their hand, the likelihood that they will purchase it increases. The sensory experience of a branded event allows customers to develop emotional connections to your products that will help you make a sale. When customers hold something, they feel a sense of ownership to it, and when they smell something, emotional memories are triggered. These emotion-brand touch points have tremendous value. They make shoppers more likely to buy, to return and to recommend your brand, spa or salon to others. Product. Offering customers a tangible item, knowledge, or even a feeling is the best way to get them in the door. It’s no secret that people love freebies, so what can you gift to your customers? It was reported that 80% of consumers say that free samples and live product demonstrations significantly help define their purchasing decisions.1 Give a customer a free sample of a great product, and there’s a chance they’ll fall in love with it and be back for more. Feelings. The value your event offers to consumers can also be a feeling. If your event is fun, clever or just plain cool, people will want to be a part of it. Host a girl’s night out complete with upbeat music, complimentary drinks, discounted hair styling or manicures and a gift bag of treats. Sometimes, the opportunity to be part of something is enough value to sell your event. Another great feeling you can provide your customers is relaxation. After all, this is the spa industry’s specialty. Treat your guests by offering complimentary massages or stress-relief techniques. Holiday or occasion. In-store events will also attract and benefit customers if they are relevant to their lives. Consider how your event can be more timely by relating it to a holiday or occasion. For example, that fishtail braid lesson could become a mother-daughter braiding class for Mother’s Day. When it comes time for spring to roll around, host an event featuring demos and products that help people “shed their winter skin.” Do you have a lot of college-aged customers? Find out when finals week occurs, and invite these students in for a de-stressing treatment. Once you have an idea for an awesome event that will provide value to attendees, you’ll need to find the best ways to notify them of the occasion. Social media. Social media is one of the most popular routes for promoting in-store events. You can create an event invitation on your Facebook page and send it out to customers and followers. To get the ball rolling, offer a free giveaway to the first 25 people who RSVP. If you have a presence on other social media platforms, share the news there too. Your followers will share your post with their followers, which will help you reach new audiences. Social media is a great way to get your event pushed to new, potential clients, offering them a low-commitment opportunity to get to know your brand. Word of mouth. Social channels aren’t the only avenue for getting the word out to new customers. Word of mouth is one of the most powerful ways to entice someone to try a new brand, so ask your loyal customers to bring a friend to your event in exchange for 10% off their next service. Partnership. Consider hosting your event in tandem with another business to reach a larger audience. Partner with a local yoga studio to host the ultimate relaxation event. Is there a nearby florist who would help you host a class on creating flower crowns and pairing them with the perfect hairstyle? Partnering with another trusted business allows both parties to benefit because you’ll be able to promote the event to both of your customer databases. You could also pair with an industry blogger or influencer to amplify your reach. Is there a popular YouTuber who does makeup tutorials who would be willing to attend or even speak at your event? An influencer can be a powerful tool for endorsing your brand and event to a wide audience base. Marketing materials. Other ways to spread the word about your event include e-mail, paper mailings and in-store flyers. Be creative. When sending an e-mail to invite customers to a hair-tutorial class, give them a tip or two as a teaser. Or, send them a funny photo of someone with scary hair. Again, whether you’re giving information or a laugh, you should always be providing value to your consumers. Don’t forget that the promotion of your event doesn’t end when your event begins. Be sure to take photos to post on social media the next day, tagging attendees to help people get excited for the next event. You’re now ready to host your first, or next, brand event. Invite your customers in and let them explore and play. Treat them to something special, and they’ll reward you with their business and positive word-of-mouth. Spending this extra time with consumers will show them your appreciation and help you get to know them better. Your customers, and your bottom line will thank you. 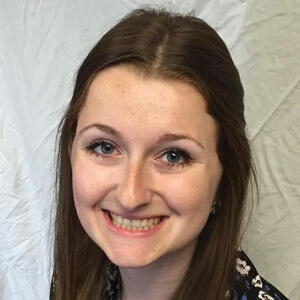 Allie Jeka is the social media strategist and marketing/creative assistant for Retailworks, Inc., an award-winning commercial interior design, display and branding firm in Milwaukee, WI.